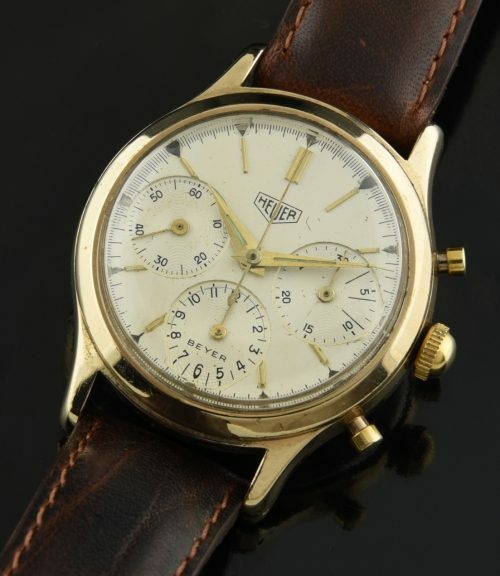 This is an early 1960’s Valjoux 72 manual winding (pre-Carrera) vintage HEUER ref. 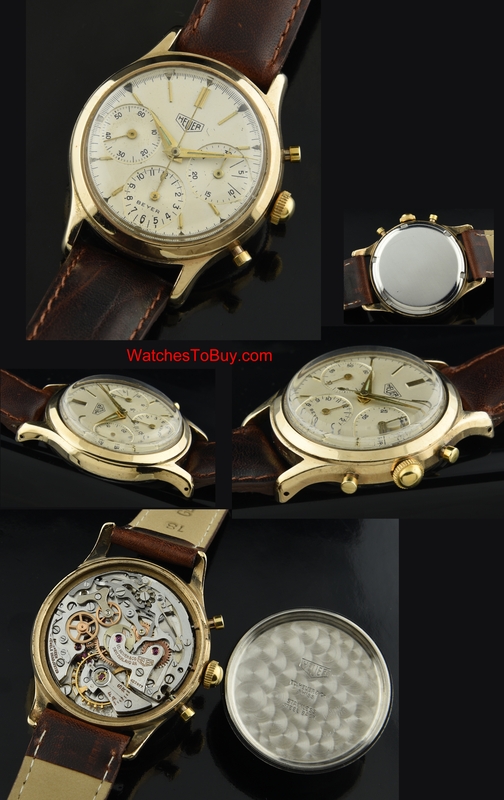 2445 chronograph gold plated with steel back having serial 132xxx. The dual signed BEYER dial is completely original (including lume) and signed “Made In Switzerland” below 6:00. That is a crystal refraction in the the lower register. The handset is also original with the lume updated at sometime. The 36mm. case is signed gold filled G20 SAD between the lower lugs and really displays very fine condition-without brassing or major dings. The unsigned crown is original and correct to the watch. The Valjoux 72 movement is working perfectly and accurately. These watches are currently undervalued in my opinion, as they are much harder to find than the later Carreras.